There is an elephant in the room. Look in the mirror, Republicans: It’s you. There is no one to blame but yourselves, and it’s time to get your act together. This past election made it clear: President Obama and the Democrats did not defeat you, you have been defeating yourselves for the past twenty years. This past election was a culmination of a ruinous policy, and trajectory, that is of your own making. The primary purpose of a political party, or any organization, is to achieve their policy, and in order to do so you must win. 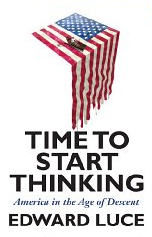 The goals of the Tea Party and the religious super-right are sacrificing electoral success for ideological purity. That is the surest formula for self-defeat and the GOP has mastered that formula. Dogma does not win elections, and as long as you choose to be a political party rather than an ideological movement, your goal is to win elections. Having a candidate who shares most but not all of your ideals is better than not having a candidate win at all. Somehow, somewhere, the party has forgotten this fundamental principle. As some of you may have noticed I have a ‘What I’m Reading’ section on my sidebar. These books are on my bookshelf and I am currently educating, or entertaining, myself with. Currently, I just finished is The Righteous Mind: Why Good People are Divided by Politics and Religion by Jonathan Haidt. 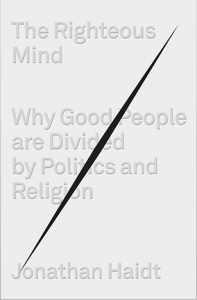 Haidt is a social psychologist at the NYU-Stern School of Business and in this stellar book he confronts human morality, where it comes from, and why people differ on an array or issues especially politics and religion. The Republicans would like to make every excuse possible to explain the drugging they received in last week’s election. The excuses have varied from ‘Mitt Romney was not a stellar candidate,’ to the president and his campaign painted the Republicans as out of touch (which they are), as well as every other possible excuse except the simple numbers of it. This was not an election of ideas, popularity, or the economy, as the Romney campaign would have had us believe. Or anything else. Plain and simple, it was demographics. Four More Years, of the Status Quo? 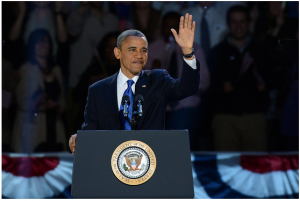 First and foremost, congratulations to President Barack Obama on winning re-election yesterday and on a well run, and tremendously successful, campaign. Despite the conventional wisdom that Republicans are the party of big business and Wall Street, this infographic clip from The Economist seems to show the contrary when comparing the growth of the stock market under Democratic and Republican administrations. For the corresponding article, click here.